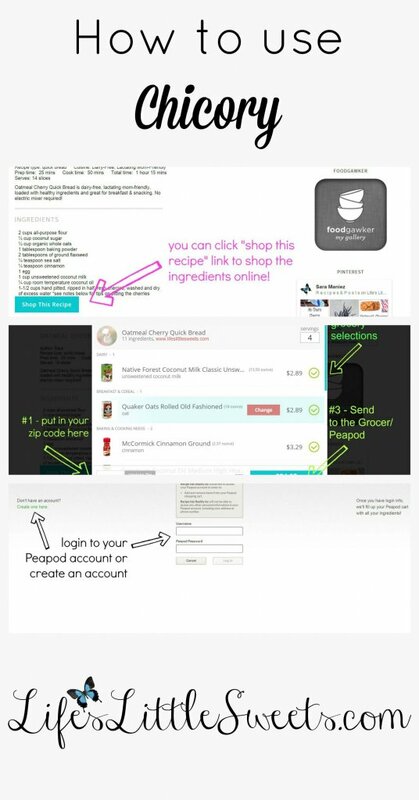 You are here: Home / Uncategorized / Chicory Tutorial & Peapod Coupon! Chicory Tutorial & Peapod Coupon! In addition to Peapod, Chicory is now integrated with Amazon.com for grocery delivery! Now home cooks nationwide can shop right from their kitchens using the Chicory app! At Chicory, we believe that life’s most magical moments are made in the kitchen, not in the grocery aisle. Our goal is to maximize kitchen time for our fellow home cooks, enabling every person to turn more recipes into reality. In a world with online groceries, infinite food blogs and click-to-buy technology, there’s no reason why you should be wasting your time on a chore that hasn’t changed since your grandmother’s time. Chicory changes the way you shop for groceries, connecting the dots and getting you cooking with just a click. That means you get to spend more time perfecting your braise or teaching the little ones how to frost their first cupcake–and less time writing lists or waiting for your number to be called at the deli counter. Wouldn’t you rather be cooking? 1.) This is from Oatmeal Cherry Quick Bread. 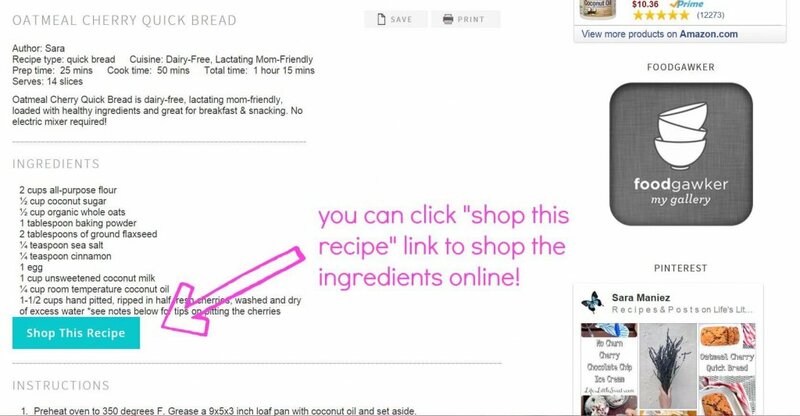 You will see the “Shop This Recipe” button under the ingredients list within the recipe. 2.) A window opens up and you see a grocery list, you can edit the selections, then send to the grocer. They work with Peapod, so if you already shop with Peapod great, if not, and you chose to use this service, you will have to set up an account. 3.) 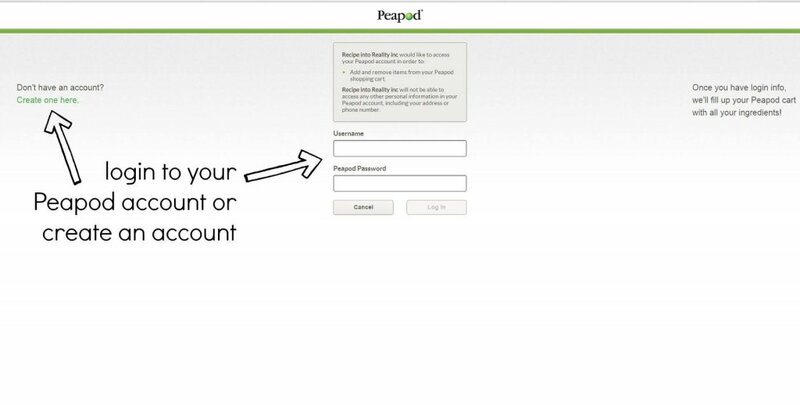 After clicking “Send to Grocer,” you can login to your Peapod account or create one if you don’t already have one. Chicory provided the coupon below! It is good through October 1st, 2015. Happy Shopping! Did you find this post helpful? Sharing is caring, please share using the links at the bottom of this post or to the left of the screen. Please #lifeslittlesweets Thank you!